On March 12, Metallurgical Corporation of China Ltd. (China MCC) held the 1st Interim Shareholders' Meeting, the 1st Meeting of the 3rd Board of Directors and the 1st Meeting of the 3rd Board of Supervisors of 2019 to complete the electoral proceedings upon expiry of term in accordance with law. 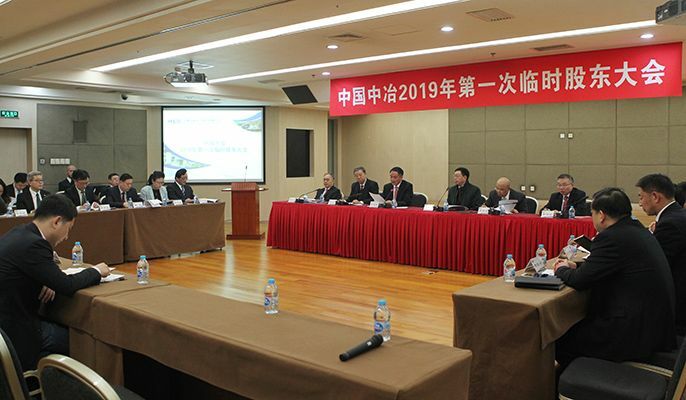 On the 1st Interim Shareholders' Meeting of 2019, the plan for new candidates for the 1st Board of Directors of China MCC was deliberated and passed. Guo Wenqing and Zhang Zhaoxiang were elected as Executive Directors of the 3rd Board of Directors, Zhou Jichang, Yu Hailong, Ren Xudong and Chen Jiaqiang were elected as independent Non-executive Directors. They formed the 3rd Board of Directors of China MCC together with the Workers' Representative Director Lin Jinzhen, who was elected through workers congress; Cao Xiuyun and Zhang Yandi were elected as Non-worker's Representative Supervisors, who formed the 3rd Board of Supervisors of China MCC together with the Workers' Representative Supervisor Chu Zhiqi, who was elected through workers congress. 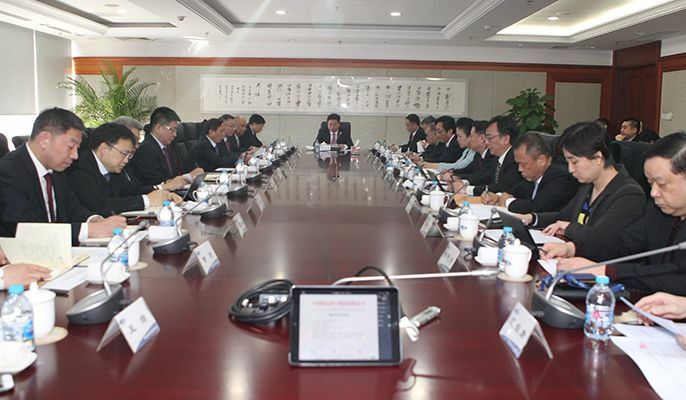 Then, Guo Wenqing presided over the 1st Meeting of the 3rd Board of Directors of China MCC. 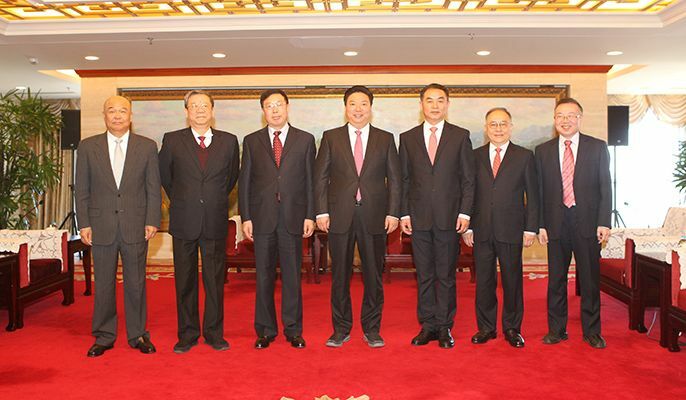 On the meeting, Guo Wenqing was elected as Chairman of China MCC, Zhang Zhaoxiang was elected as the Vice Chairman, Zhang Mengxing was employed as President, Wang Shilei, Zou Hongying, Qu Yang, Yan Aizhong, Zeng Jianzhong, Zhang Ye and Liu Fuming were employed as Vice Presidents of the company, Zou Hongying was employed as Chief Accountant (Chief Financial Officer) of the company and Zeng Gang was employed as Board Secretary and Secretary to the joint company. On the meeting, matters regarding the setting of special committee of the 3rd Board of Directors and composition of the committee were deliberated and passed. 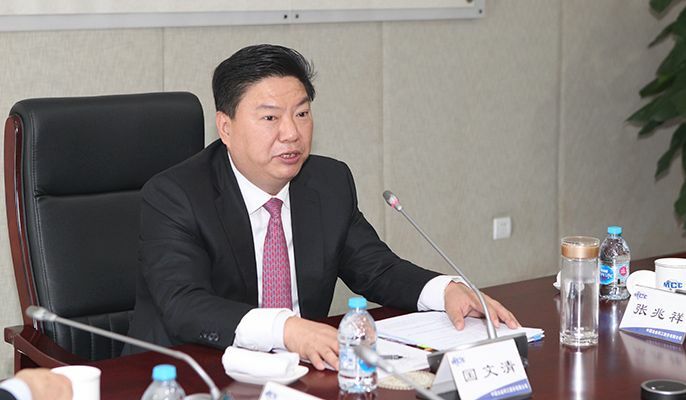 Cao Xiuyun presided over the 1st Meeting of Board of Supervisors of China MCC, on which Cao Xiuyun was elected as Chairman of Board of Supervisors of China MCC. The first is to thoroughly study the important speech of General Secretary Xi Jinping on the management of country and politics and doing well in work of state-owned enterprises, stick to Xi Jinping Thought on Socialism with Chinese Characteristics for a New Era (Xi Jinping Thought) to guide the direction and work, and to be loyal to the Party and repay the country. Xi Jinping Thought is strategically situated. It is extensive and profound, with rich contents. It requires both strategic requirements and tactical guidance. It is significant with great influence, especially for the three flag-raising orientations for the reform and development of state-owned enterprises. We should make great efforts to study deeply, understand thoroughly and practice. It should combine the actual condition of the enterprise to implement the requirements of General Secretary Xi Jinping, guide the business practice and promote high-level and high-quality development of the enterprise. The second is to work hard and fulfill duties. China MCC has developed rapidly since it reached a low point in 2012. It has maintained a development trend of stable rise. The achievements do not come easily. All sectors of the society, including leaders at all levels, have given high praise for the development. Mr. Guo hoped that the new Board of Directors, Board of Supervisors and Management could continue to stick to the leadership by the Party, relay on the guidance of policy, lead all cadres and workers to work hard, give full play to the MCC's spirit of "No work should be delayed for even one day" and fulfill all duties of the Board of Directors, Board of Supervisors and Management. The third is to plan ahead, explore and make innovations to promote high-quality development of the enterprise. We should continue to deepen the reform, dare to break through, break the shackles of systems and mechanisms that are not suitable for the development change, and manage to overcome the problems on the way forward; we should study the laws and characteristics of cycle, spiral rising and alternation of peak and valley in the development process of the enterprise and continuously study the new conditions we are faced with new idea, new view and new method; we should start again on a new start point, capture the new round of great development opportunity. We should not only consider the current situation, but also plan for the development path of long-term fortune and security of the enterprise. Metallurgical construction is our unique skill and the "center of circle" for the development of the enterprise. As the world's No. 1 national team for metallurgical construction, we should stand on the solid ground to make the enterprise stronger, better and bigger. We should facilitate the production of finalized products that make use of core metallurgical technology. We should deeply study our competitors on the market competition strategies to occupy the leading position on the metallurgy market; we should follow the policy closely, seize the first opportunity, speed up the layout and in-depth promotion in the Guangdong-Hong Kong-Macao Greater Bay Area, Xiong'an New Area and other hot spots, carefully study the construction and development of regional companies, and realize multi-point blossom as soon as possible. The fourth is to stick to the bottom line and be honest in fulfilling duties “It takes a good blacksmith to make steel”. Leaders and cadres must take the lead to set a good example. They must do what others are required to do first and resolutely refuse to do what they require others not to do. They should carefully follow and practice in accordance with the eight regulations of the central government and requirements for leaders and cadres of central enterprises to fulfill their duties. Members of Board of Directors and Board of Supervisors of the company attended the above meeting, and members of the Management attended without voting power. Some institutional investors and professional institutions attended the 1st Interim Shareholders' Meeting of 2019, and exchanged ideas with leaders of the company regarding the strategy and production operation problems of the company. Chairman Guo Wenqing is making an important speech.